Hahaha - those are so cute! Great work. Very cute, and slightly disturbing! 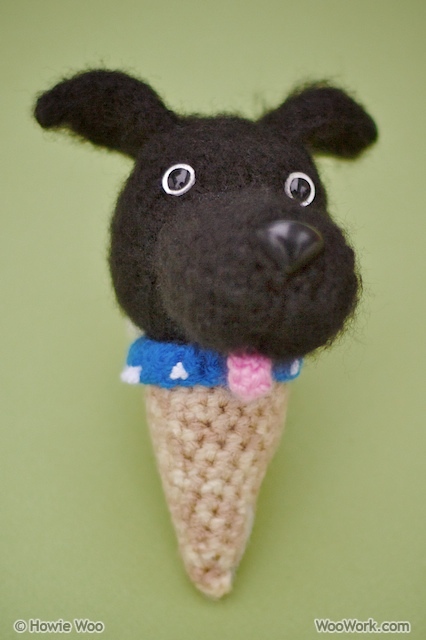 I love how you take your brilliant artwork and turn it into crochet masterpieces - I'm so very envious! You do such awesome work - you really should start drafting the patterns - they would sell! 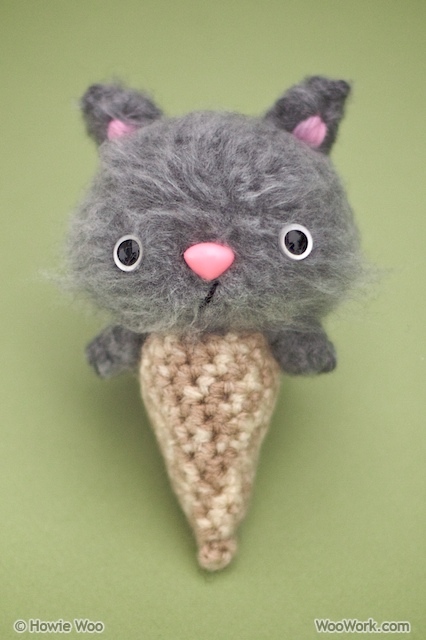 PaisleyJade: Pets-in-a-cone are instantly cute haha Thanks! I haven't written patterns (I barely have time to crochet! ), but I've been skating by with trial & error & improvisation ;) Thank you! Jessica: After spending last summer making the Fridge Critters, I've delighted in crocheting disembodied animals haha More to come too! I envy your lovely masterworks too, along with your blog's reviews & tutorials! 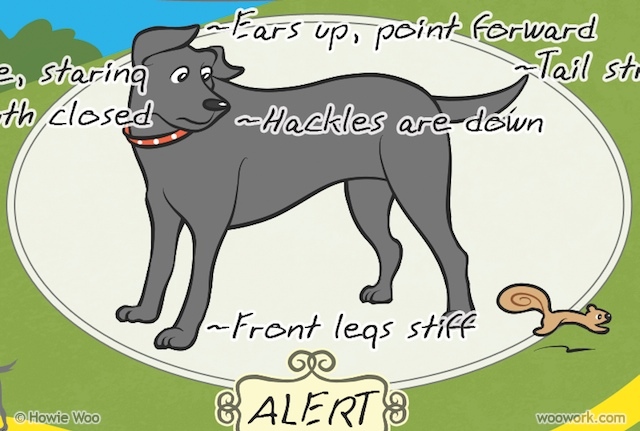 Wow Howie, the illustration of Jim the "Lost" dog showing body postures is perfect!!! 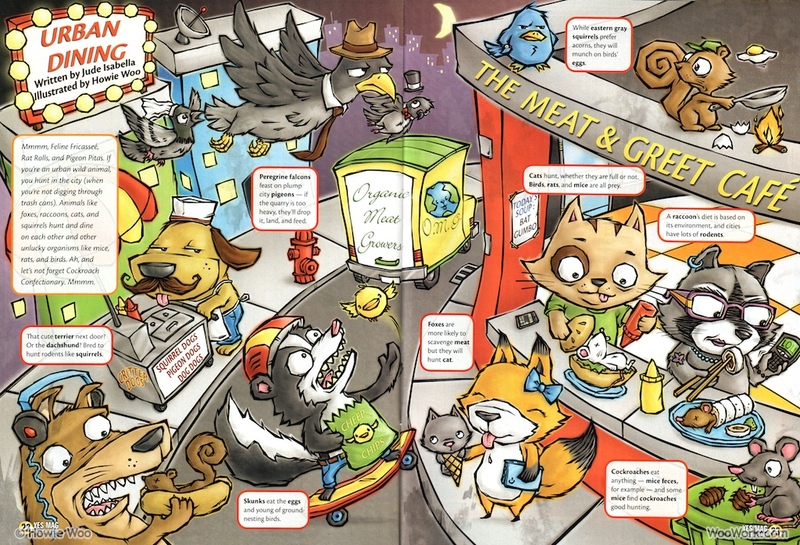 And I almost snorted cookies out of my nose looking at & reading about urban animal diets! Who knew that coakroaches eat mouse turds?! Answer: Woo Knew & now I know, too! Those are totally cute! 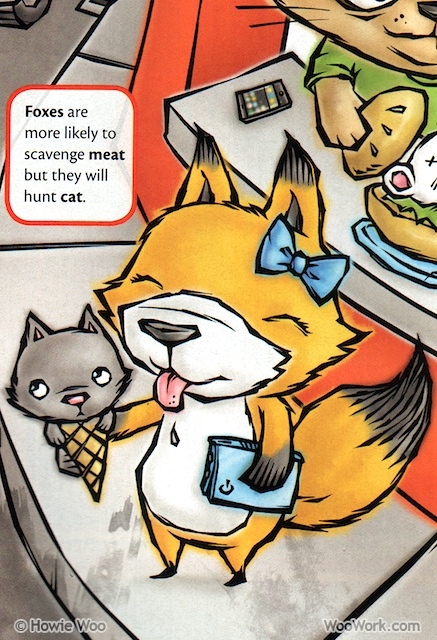 Love the magazine illustrations too! In case you were wondering, the cat and dog were made fluffy by using Velcro strips to pull out the yarn. I can't believe I miss this one! 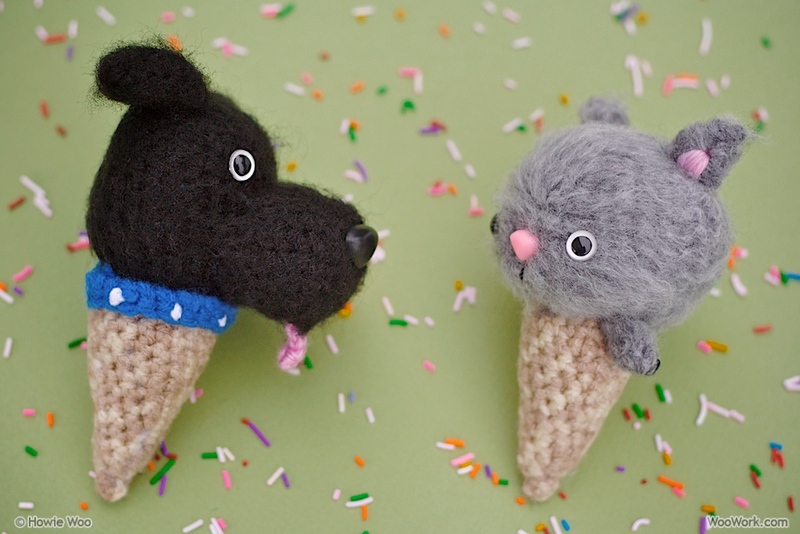 OMG...I LOVE the cat and dog cones!!!! Furry yarn rules! You draw like a superstar, Howie!! The expressions on each animal's face is right on! I draw (since I was 3) but only with pencil. Never tried to use the tablet. That must be hard. TADA's Revolution: Thanks! You're the master of furry yarn! I used velcro to make fuzz up the cat & dog fur. Jim didn't mind but Kitty-in-a-cone was furious! It took me a couple of months to feel comfortable with the tablet, but now it's second-nature :) If you chose to, talented-you would be a tablet whiz. 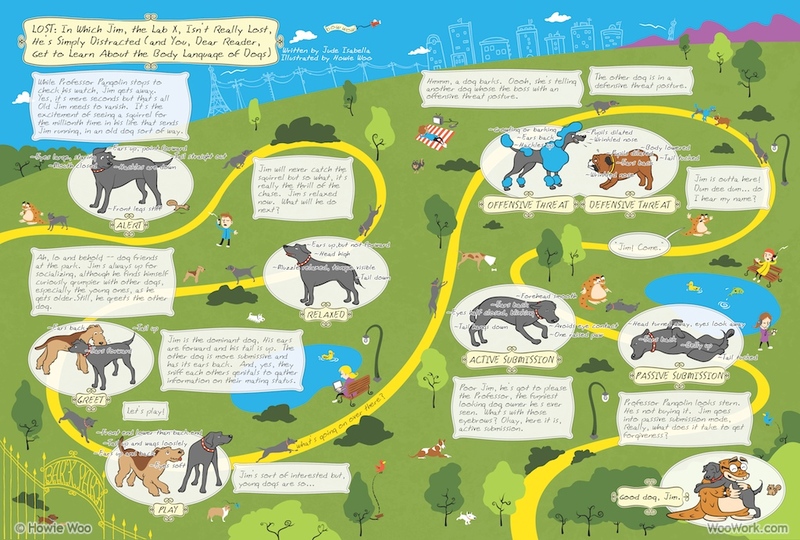 It would be amazing to see your pencil sketches of that Tada critters! Thank you Howie! There are many advantages to drawing with tablet. My pencil sketches get smeared and lost (if I don't draw them in my book). Maybe one day I will share my sketches!